This easy keto salmon recipe is a low calorie sheet pan dinner than is ready in under thirty minutes! 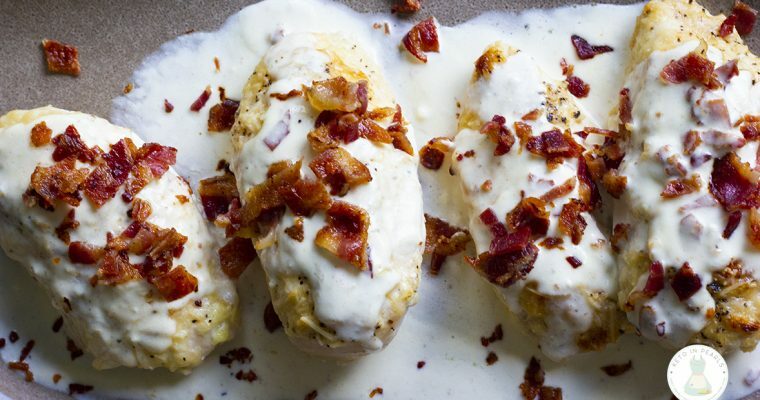 A simple light meal that’s perfect for warmer weather! 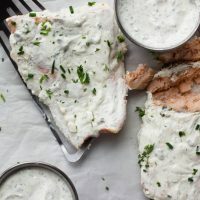 I think this is my first keto salmon recipe on the blog! It’s only taken me two years, haha, but I think it was worth the wait! I think we all know by now that salmon is rich in Omega-3 fatty acids and supports a healthy heart. But did you know that salmon is also a good source of potassium? Bonus, it may also be an anti-inflammatory food! Needless to say, salmon is definitely one of the “superfoods” that we should incorporate more of into our diets. You’ve heard me say before that even on a ketogenic diet, we don’t need to eat all the fat all the time. Keto isn’t a free pass to eat endless amounts of bacon and butter. Lower fat gram (not low-fat frankenfoods) and lower calorie meals are still okay! 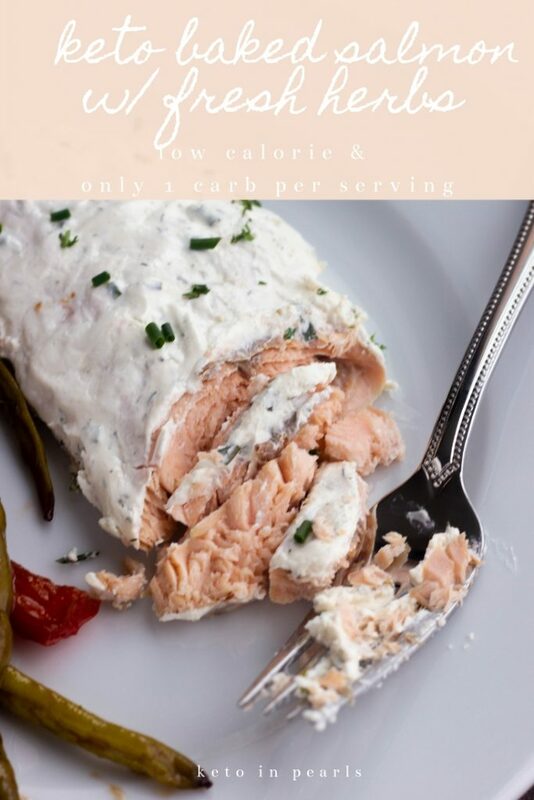 Salmon is an excellent way to eat a low fat or low calorie ketogenic meal. It’s bursting with protein but lower in calories and fat grams. Contrary to popular belief, protein is not your enemy on a ketogenic diet! 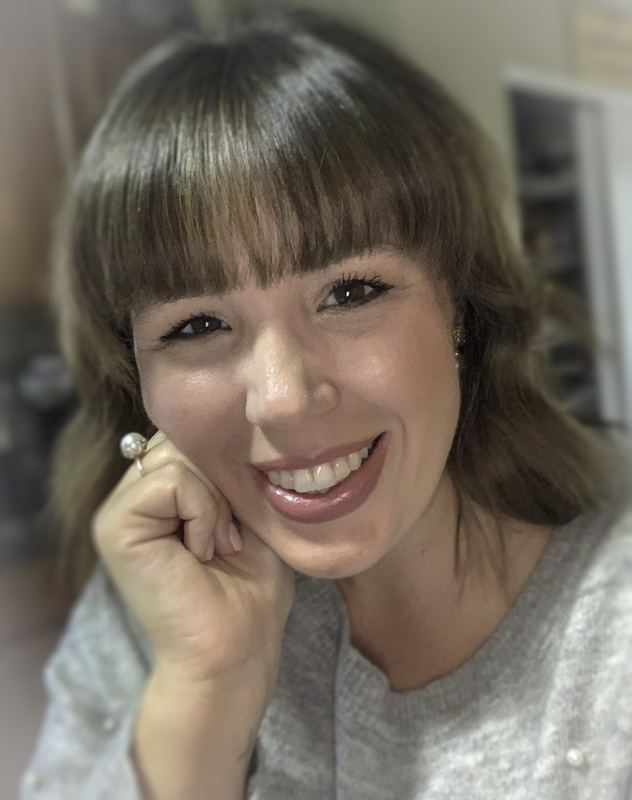 I learned the hard way in my first year of eating keto so take my word and don’t be like me in that way! Truth be told, until very recently I never cared for salmon. I’ve actually had to teach my self to like salmon because it’s such a bountiful and nutritious food. Much to my surprise, I really developed a taste for salmon through that writing process. Personally, I think a good salmon dish is characterized by its accompaniments. Meaning, it needs a damn good sauce to go alongside. The herby topping keeps the fish moist while baking and gives it a fresh, light, and summery flavor. 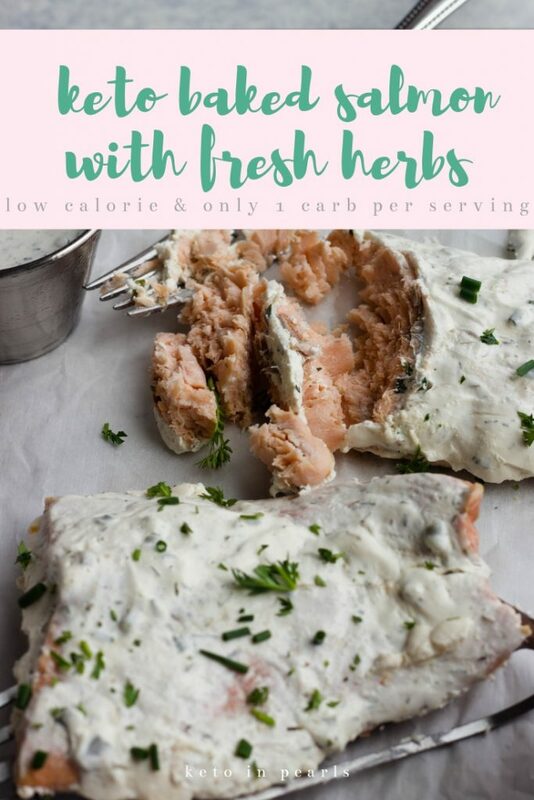 If at all possible, use fresh herbs (chives and parsley) in this nearly zero carb salmon recipe for the best flavor. Dried thyme and dill are fine though! 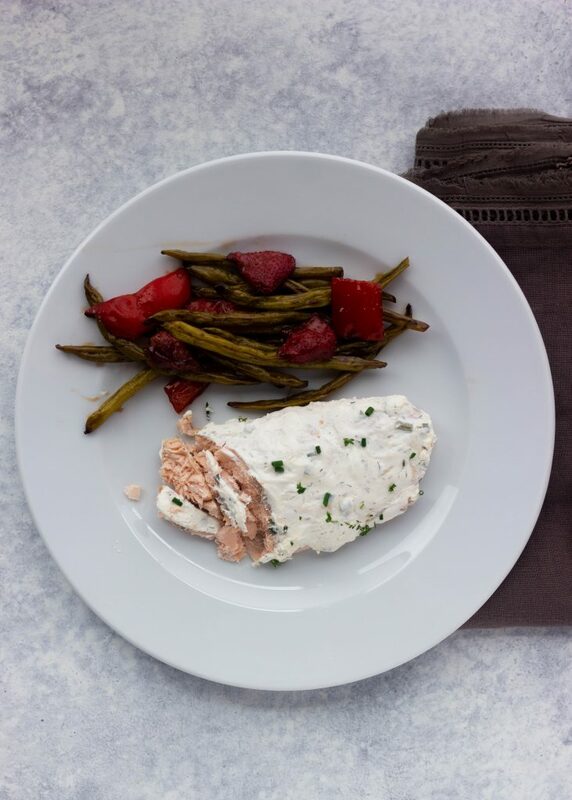 This easy keto salmon pairs wonderfully with simple dressed greens (that just means extra virgin olive oil and vinegar) or roasted vegetables. 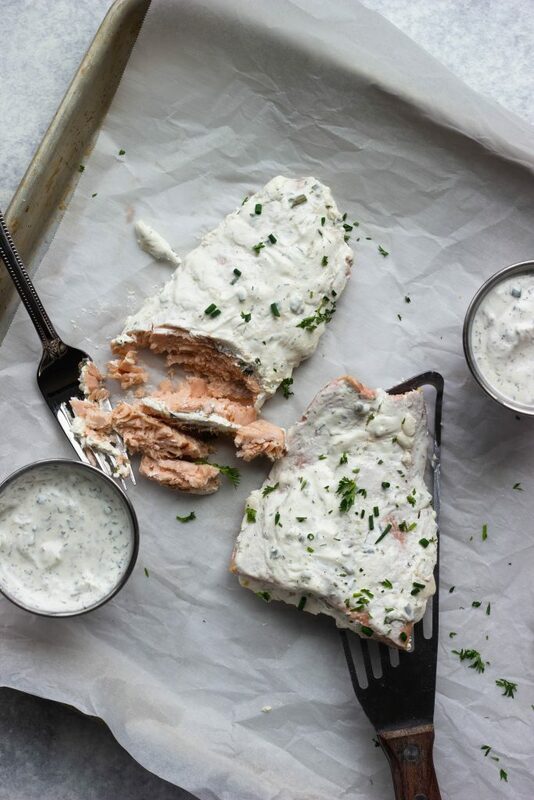 If you have leftover topping, thin it out with a little water and serve as a salad dressing or as a dip for the fish. I think y’all are going to love this 30 minute keto meal this summer! Be sure to let me know how you like it in the comments down below! And don’t forget to tag me on social (I’m @keto_in_pearls everywhere)! This easy keto salmon recipe is a low calorie sheet pan dinner than is ready in under thirty minutes! A simple light meal that's perfect for warmer weather! In a small bowl, combine all ingredients and stir until the sauce is evenly combined. 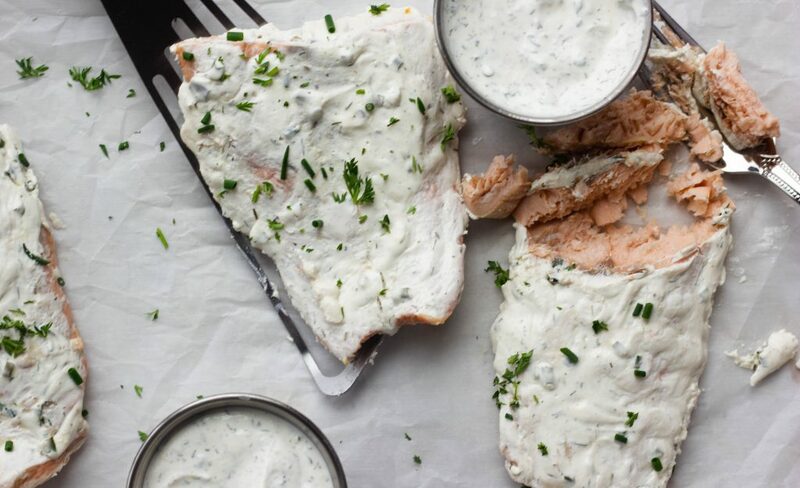 Pat the salmon filets dry on both sides with paper towels. Place on the baking sheet. 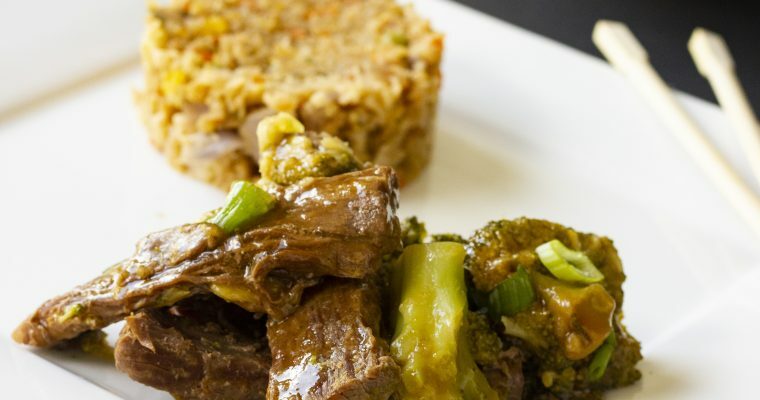 Top each filet with approximately 2 to 3 teaspoons of the herb mixture, depending on the size of the filets. Use a silicone brush to coat the top of the filets with the herb mixture. Garnish with fresh herbs, if desired, before serving. 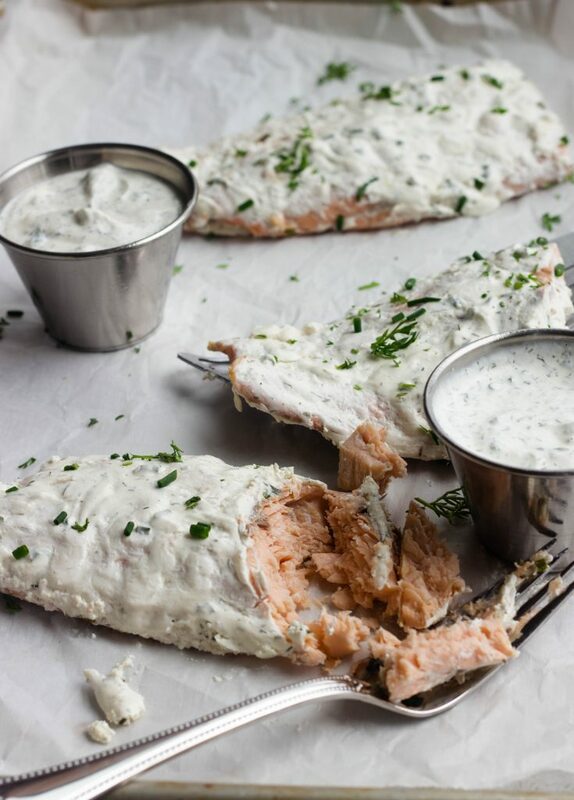 If you have leftover herb sauce, thin it out with a little water to make a fresh salad dressing or dipping sauce for the fish.